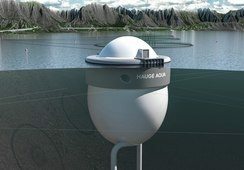 A Norwegian company has revealed details of plans to build a land-based salmon farm with an annual capacity of 8,000 tonnes. 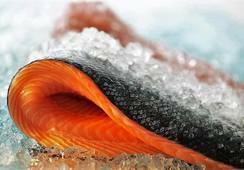 Salmo Terra hopes to have fish in the plant during the next year. Illustration: Salmo Terra. Harald Schreiner Fiksdal has had a career as an oil industry executive, but in 2017 he started the company Salmo Terra, together with Kai Andre Stæger-Holst and Svein Egil Steen. “My colleagues and I have long worked with the idea of salmon on land, as it is important to think again both for the industry and for the environment,” said Fiksdal. He said that modern land-based facilities at the company’s Eikeilen site in the municipality of Øygarden near Bergen will give the farmers full control of the entire production cycle from smolt to harvestable fish. It was at the end of last year that the company applied for a permit to farm fish at the site. It first plans to establish six production units based on known recycling technology (RAS-1) supplied by Gråkjær AS with a capacity of 2,570 tonnes. 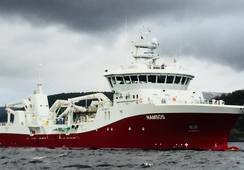 The plant will have an annual production limit of 8,000 tonnes of fish. The first step during the building process involves two production units in two 3000 m² buildings. It is planned to operate the plant with 110-gram large smolts. With an optimum temperature of 14 degrees the fish will need 260 days to grow to a weight of between 4 and 4.5 kilos. Production will start with groups of 51,000 smolts each initially placed in one tank and later divided into several tanks. In the fully developed facility there will be 36 such smolt groups, while in the first stage there will be 12 groups. 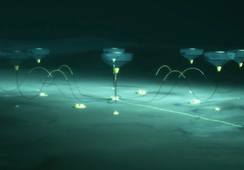 The intake point for sea water for the plant will be at a depth of 70 metres. The seawater will be cleaned and disinfected with both UV and ozone treatment. Cleaned water from the plant is planned to be discharged at approximately 16m depth north of the plant. 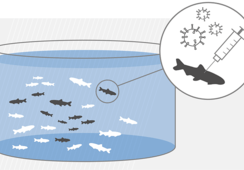 The application indicates that a new land-based fish farm has the best possibilities to ensure a sustainable production of salmon and trout, without this increasing the risk of parasitic or disease infections. The facility will also provide socially positive spill-over effects, both with regard to local workplaces and environmentally positive spill-over activities, by benefiting from the best available technology, according to Salmo Terra. The sludge from the plant will be converted into fertiliser or energy. 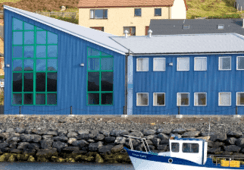 Fiksdal said there were three main planks in the project: fish welfare, ensured by having full control of conditions in the plant; control of impact on the environment; and the production of a premium product. "For fish welfare, one of the most important factors is that it is not possible for contact between lice and fish, so the fish are good and free of treatment. The concept removes the causes of some challenges,” says Fiksdal. Authorities are now consulting on the application. 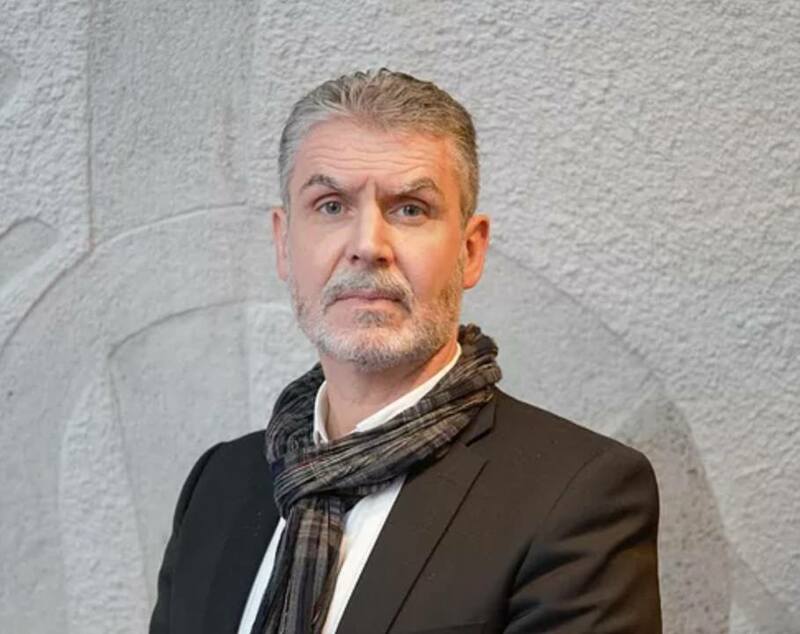 The county municipality in Hordaland is awaiting responses from the county governor and the Norwegian Food Safety Authority before it can make a decision. The conclusions from both parties are expected soon. The Salmo Terra plan is one of several on-land salmon farming facilities being planned or under construction worldwide, though none has yet been proven to operate profitably.